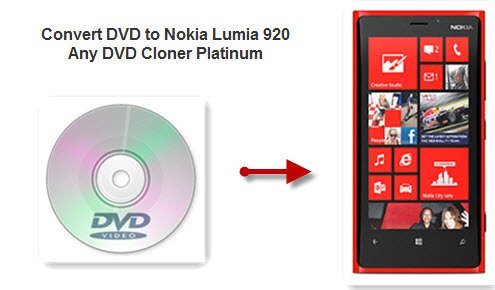 How to watch DVD movies on Nokia Lumia 920? Nokia Lumia 920 was announced recently and it is considered to be the most powerful competitor to iPhone 5, Samsung Galaxy S3, HTC One X. Lumia 920 offers a dual-core processor, Windows Phone 8 and a camera which – by the looks of things – will be the best smartphone snapper available on the market. It supports MP4/H.264/H.263/WMV. Watching movies or videos with Lumia 920 4.3-inch OLED display with a resolution of 800 x 480 pixels, isn't that a great idea? 1. All-around decrypter for old and new copy protected movie DVDs. Movie DVDs are with copy protections like CSS, RC, RCE, APS, UOPs, ARccOS, etc. All copy protection would be removed by Any DVD Cloner Platinum with advanced decryption technology. 2. 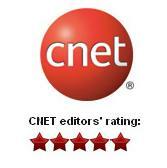 Powerful and all-in-one DVD backup ways, clone DVD, copy DVD, rip DVD or burn DVD. Users could backup or make copies for their favorite DVD movies with flexible ways for different needs. Ripping DVD to videos is one of the most important function of all and it brings big convenience for users to watch movies with their handy devices, like smartphones with large screen and tablets like Samsung Nexus 7, Samsung Galaxy Note, or other andoird phones, as well as iPad/new iPad. 3. Output quality is perfect. Any DVD Cloner Platinum enables users to make perfect DVD copies or perfect output video, the same quality to the source DVD. Step 1: Select "Open Method", enhanced for encrypted DVDs while normal for unprotected movie DVDs. Step 2: Insert DVD into DVD drive, then click "Open DVD" button. Step 3: Go to "DVD Ripper" panel. Step 4: Choose Output Folder for saving the video file when the ripping process is done. When the ripping process is done, users just need to transfer to Lumia 920, then can freely watch movies on the go! Easy, fast and with perfect quality! 1. PureView Camera - The new Lumia 920 is the first Windows Phone that will feature Nokia's PureView camera technology. The 8MP camera takes sharp images even in low light thanks to Carl Zeiss optics, a backlit image sensor, bright f2.0 aperture and using proprietary image processing algorithms.